Budget Transit Wheelchair Sturdy And Robust. This budget-priced transit wheelchair is ideal for occasional use. 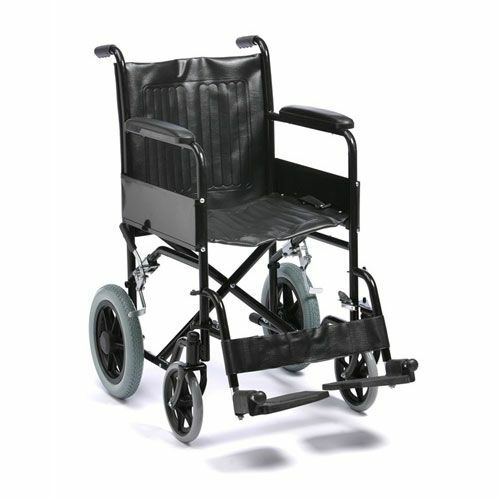 It's sturdy but simple to use even by those who don't use or handle a wheelchair every day, and has all the features required for a safe, comfortable ride. The armrests are padded, the footrests swing away to make getting into and out of the chair easy. An occasional-use wheelchair like this one is great for those who need a little extra help enjoying a day out, and may also suit those businesses and attractions that might like to provide wheelchairs for the use of customers and their family members.